There is an increasing chance there will be a No Deal Brexit on 29 March 2019, i.e. no Withdrawal Agreement between the UK and the remaining EU27 Member States. This note is to help guide MARQUES members on the key things to do or not do when it comes to managing brands and brand-related disputes if there is indeed No Deal by the end of this month. The Customs (Enforcement of Intellectual Property Rights) (Amendment) (EU Exit) Regulations 2019 – also not yet adopted but to come into force as above. Note that the first draft proposed on 31 January 2019 was withdrawn on 1 March 2019 after feedback from the MARQUES Brexit Task Force given the previous day and a new draft was published on 1 March, with the errors we raised having been corrected. The version linked to here is the current 1 March draft. This note takes into account this draft legislation, as well as various statements/notices of the UK government, the UKIPO, the EU Commission and the EUIPO (see, in particular, its Q&A document of 18 January 2018 here). The UK government will automatically grant owners of registered EUTMs and RCDs a new "comparable (EU)" right without any loss of priority, filing or seniority dates and for free. No action is needed to secure this right. They will fall for renewal on the same date as before. On 21 February 2019, UKIPO announced that comparable trade marks (EU) will keep the same registrations numbers as the original EUTMs but will have a prefix of “UK009” added to the last eight digits – this is explained further by the UKIPO here. This should mean that most trade mark portfolio records can be easily updated in bulk with batch updates on 30 March. EUTM owners that do not want the free comparable right (EU) can opt out of having it in certain circumstances (this may be because, e.g., they know it would conflict with a prior third party UK right or because they have an existing UK right already themselves). Existing EUTMs/RCDs will continue to be valid in the EU27 only. There is (for now) no need to change the representative or address for service applicable for the EUTM in order to own the new comparable right (EU). Only those qualified and established within an EEA member state (so not the UK) could represent clients before the EUIPO. Brand owners should check with any UK representatives what arrangements are in place for their representation after 29 March. If the EUTM falls due for renewal before 29 March, the renewed EUTM has another 10 years to run, as will the comparable trade mark (EU). No extra renewal fee is due for the latter. However, if the renewal is due after 29 March, a separate fee will be due to the UKIPO to renew the comparable trade mark (EU) irrespective of when the EUTM was renewed. So there is no saving to be made in renewing early. The upside is that there is a six-month moratorium on late renewal fees for the comparable rights (EU). For EUTMs due for renewal up to 29 September, you can renew the comparable trade mark (EU) any time up to six months after the renewal date for the normal UK renewal fee. These will need to be refiled at the UKIPO if protection in the UK is wanted post-Brexit, with the usual UKIPO applications fees payable. There is a nine-month period (i.e. until 29 December 2019) within which the EUTM can be refiled in the UK without loss of priority. For recently filed EUTM applications still within the normal six-month priority period, this extra priority may be less crucial, but for applications that have been pending since before September 2018, this extra priority may be critical. Since new EUTMs filed now will not be registered by 29 March, most applicants are now choosing to file UKTMs in parallel immediately, but otherwise they can use the nine-month priority period if achieving registration in the UK is not an immediate requirement (e.g. for an infringement claim, submitting a notice and takedown request, filing a domain name complaint or as a defence against a third party claim). 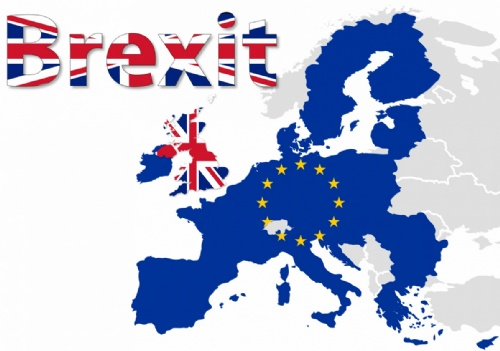 The EU Commission has said that EUIPO actions relying on UK prior rights will be decided after 29 March 2019 with those rights disregarded. MARQUES questions that this is the correct statement of the law. It remains to be decided. In any event, the outcome of an EUIPO action will not affect the comparable (EU) registration or (if one is filed) application. Separate proceedings in the UK would be required to challenge those. For applicants keen to avoid having to re-file in the UK (and face UKIPO examination afresh), there may be merit in reaching a speedy resolution of pending EUIPO oppositions before 29 March. An opponent might share that interest too, since it may avoid the extra cost of opposing at the UKIPO (if it can). It has not been explicitly stated but, as for UK litigation, it seems inevitable that UKIPO registry actions relying on EUTMs will continue as currently but relying on the comparable (EU) right instead. A fiction is being adopted that use of the mark relied on anywhere within the current EU before 29 March 2019 (e.g. in France only) will be treated as use of the comparable trade mark (EU) within the UK. Likewise, the mark's reputation within the EU pre-29 March (e.g. in Germany or Italy only) will be taken into account when a comparable trade mark (EU) is the basis of UK action. In practice, this may mean the brand owner can at least assert extended protection in the UK action (against free-riding, dilution or tarnishment) but whether the claim succeeds may depend on whether there is the necessary "mental link" being made by the notional UK average consumer who does not know of that reputation. Licences for EUTMs and RCDs which relate to the UK will continue to apply to the comparable (EU) right. However, whether they related to the UK in the first place is a question of contract interpretation under the relevant governing law. Where there is doubt, the parties should seek to clarify this. The recordals on the EUIPO, e.g. of licences or security interests, will not port across to the UKIPO database in relation to the comparable right (EU). Those with such an interest and wanting it recorded against the comparable right (EU) will need to re-record it at the UKIPO. AFAs filed via UK Customs and designating the UK will remain in place until expiry. However, if it was filed via another EU27 customs office, a new AFA will need to be filed in the UK. This is principally because, in a No Deal Brexit, the UK Border Force/HMRC will not have access to the COPIS database that EU Customs share. Likewise, the Commission has said that AFAs filed via UK Customs and designating EU27 countries will need to be reapplied for via an EU27 Customs office. EEA-wide exhaustion will continue to apply in the UK for the medium term. This means goods first sold in the future EEA (without the UK) can be freely imported into and sold in the UK. This unilateral UK government position may not be reciprocated by the EU. For now, it seems IP rights within the EEA will not be exhausted if first put on the market in the UK after 29 March. So goods first sold in the UK could be blocked as illegal parallel imports if then sold into the EEA without consent. The position in the UK is likely to be reviewed in the medium term and following a public consultation. MARQUES will ensure that its members are consulted and their views are represented in that event. Those granted before 29 March will remain in place and be effective in the UK and the EU27. A UK court will not be able to grant such relief after 29 March and an EU27 court likewise cannot grant an injunction after 29 March that extends to the UK. It is not a question of when an action started but when the court is granting the injunction. So actions pending before UK courts on 29 March relying on EUTMs/RCDs can only yield remedies for the UK if the order is made after 29 March. Care needs to be taken about timing and strategy, with multiple factors at play giving various options. Actions by or against UK parties started after 29 March seeking pan-EU relief under EUTMs/RCDs will need to allow for that UK party now being outside the EU. That means the action may be started in either the other party's domicile (if within the EU27) or in Alicante (if the other party is also outside the EU). Separate action would be needed in the UK to obtain relief in relation to the UK use. Existing UCDs will continue to be protected and enforceable in the UK until the EU right expires. A new UK “supplementary unregistered design right” is being created equivalent to the UCD for new designs made available within the EEA after 29 March. It remains open whether an EU UCD will arise if first publication occurs in the UK (i.e. outside the EU27) after 29 March. The Commission issued a statement suggesting it would not, but MARQUES questions that interpretation of the Design Regulation. A CJEU decision may be needed to resolve this. From 29 March 2019, the UK will set up its own GI schemes mirroring the EU schemes, fulfilling the UK's WTO obligations and using the same EU GI scheme classes (link to the UK government statement of 5 February 2019 here). All existing UK products registered under the EU GI schemes (86 in total) will automatically get UK GI status. However, existing EU GIs may need to apply to secure UK GI status. UK, EU and non-EU country producers will be able to apply to the relevant UK scheme if they seek new products protection. Note that it is possible that the EU may not continue to protect UK GI products – so be prepared to apply to the European Commission for EU protection and the right to use the EU GI logo (the UK government will provide application guidance and support). Regarding the international protection of UK GIs, the government expects protection to continue for (i) products in non-EU countries' free trade agreement with the EU and (ii) other EU third country sectoral agreements. UK-only holders of these domains, with no "establishment" within the EU27, will no longer qualify to hold them – see Commission position here and EURid notice here. This means that up to 300,000 domain names could, in theory, be revoked after 29 March. MARQUES, along with other user groups, is lobbying to secure ongoing entitlements in respect of these domains. Some domain name service providers are offering potential solutions to address this but the effectiveness and legality of those arrangements may one day be tested.